SAN JUAN -- Emilio Aguinaldo came from behind to pip Mapua, 89-85 in the first game of the Friday tripleheader this afternoon at the FilOil-FlyingV Centre. The Generals grinded out the win by posting a combined 56 second half points to overturn a six-point deficit in the first half for back-to-back wins, half a game ahead of the Cardinals who fall down at 2-5 in the first round. 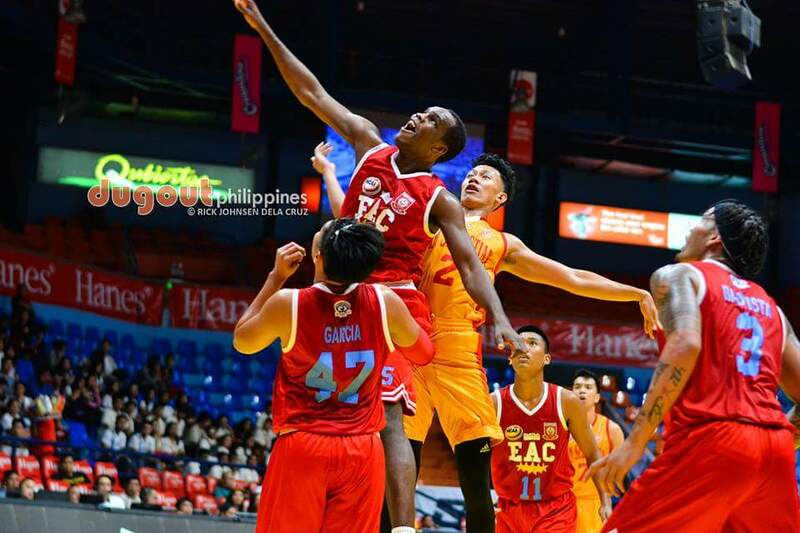 Hamadou Laminou is getting closer to full form as he posted a double-double of 17 points and 12 rebounds, as the bench mob of Ariel Sison delivered the most at the restart. Jan Natividad exploded for ten of his 13 points in the third quarter and CJ Cadua stepped up in the final quarter, scoring all but two of his 10 there before fouling out with 13.5 seconds left in the game on an unsportsmanlike foul. Mapua had 24 points from Noah Lugo, but their 79% accuracy from the free throw line, deserted them in the end game, when Denniel Aguirre missed a pair that could have given them a one point lead. But instead, Jerome Garcia and Sean Neri sank five straight charities of their own to the delight of their student section, who braved the rain.